Thin section specimen of meteorite Dar al Gani 431. The images were taken in cross polarized light. 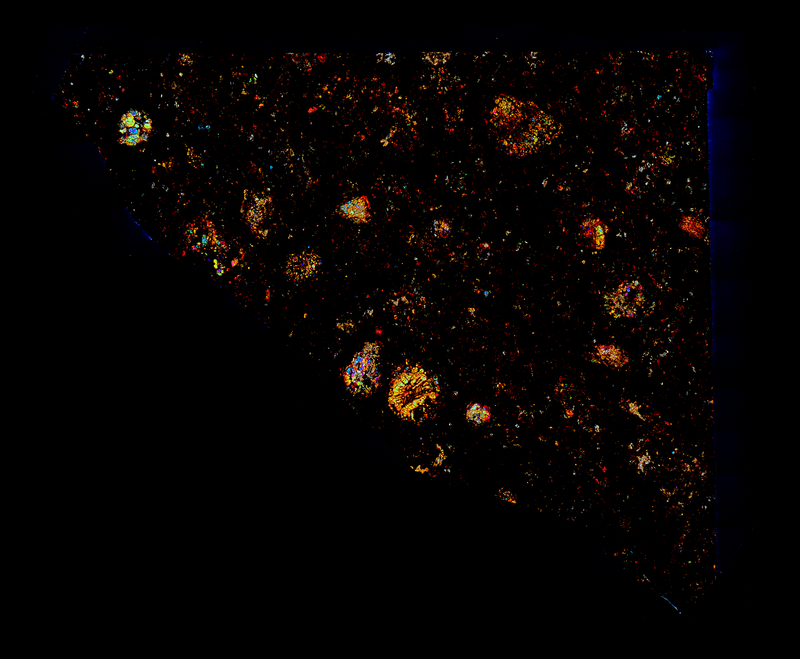 Classifed as a CK3 anomalous meteorite, this thin section specimen of DaG 431 contains several CAIs along with a few nice chondrules.